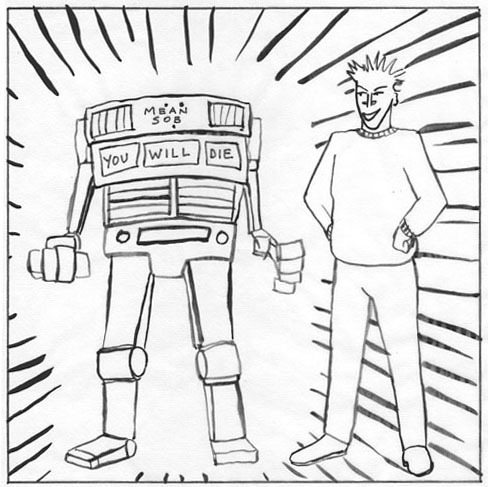 Here he is, Dudley D.Watkins' boy hero, published out of Dundee for decades. 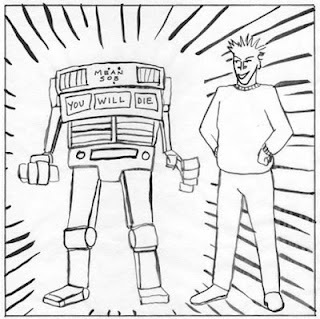 Watkins is rightly feted as a great artist, seemingly able to draw anything. What I've not ever seen or heard acknowledged is the fantastic format he came up with. The one page adventure starting with an opening panel which was almost a prologue to what was to come (Wullie at rest before the story starts), and I especially like the closing panels where Wullie would react to the story as a whole. 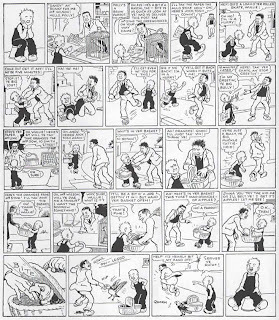 That last panel left many iconic images in young readers' heads - Wullie laughing on his bucket wth his feet off the floor, or sitting in a huff with a sore bum after he'd been skelped. This adventure is from 1946. 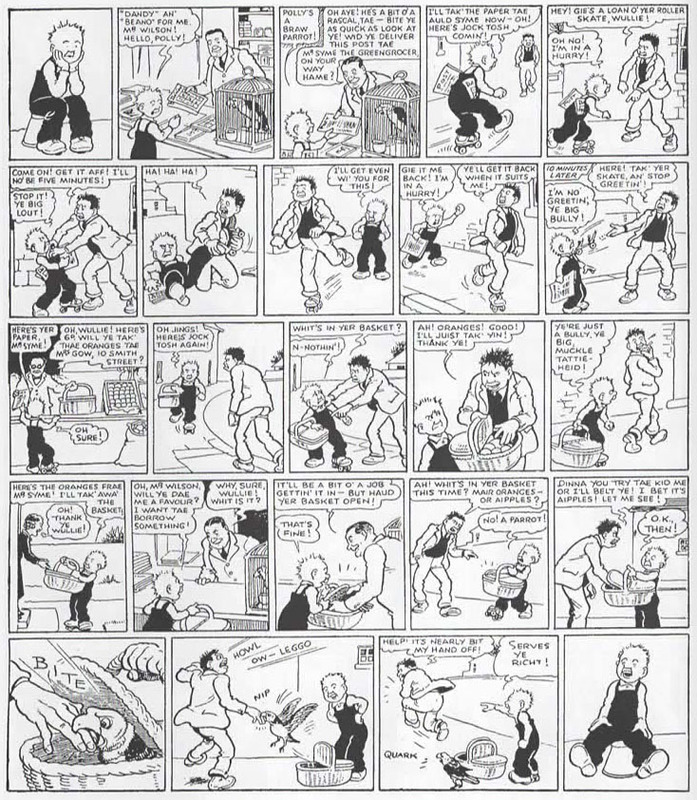 We see Wullie was buying his copy of the Beano and the Dandy. The Dandy is currently heading towards closure after 75 years. The issue in the shops this week carries the slogan "Only 2 issues to go!" Sad. Page 39 is uploaded now. Have a look here. Marvel was licenced to make Star Wars comics in the 70s and 80s, creating the original run which featured many creators including Howard Chaykin, Mary Jo Duffy, Michael Golden, Archie Goodwin, Carmine Infantino, Cynthia Martin, David Mazzucchelli, Tom Palmer, Walt Simonson and Al Williamson. 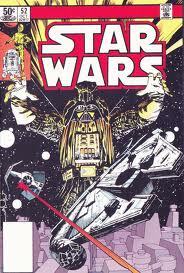 Being a big Star Wars fan, I read all of them. The series ran from 1977 to 1986. 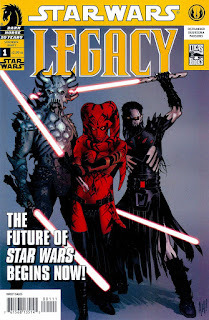 The next Marvel Star Wars comic was scheduled to be a series called Dark Empire by Tom Veitch and Cam Kennedy, but the rights lapsed and Dark Horse picked it up instead. 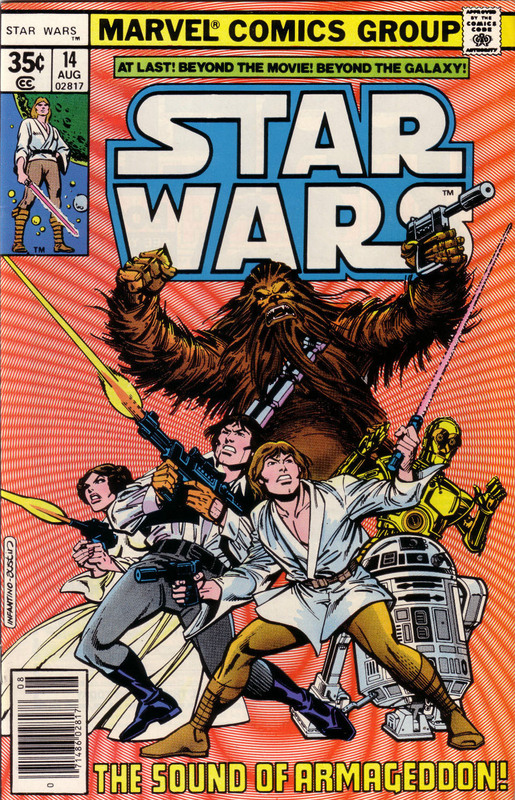 They’ve published Star Wars comics since 1991. Unlike Marvel, who put out one ongoing series with limited related titles, Dark Horse have continually brought out an ever changing roster of series. It was too much to keep up with for me. I still keep an eye out for good Star Wars comics, but haven’t felt the desire to buy them all since after Dark Empire 2 back in 1994. 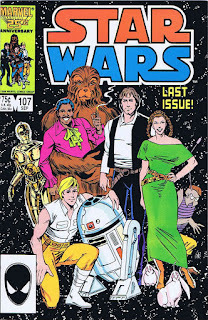 Now that Disney has bought Lucasfilm, speculation is rife about Marvel getting the licence back. Disney owns Marvel, so it might make sense. However there have been other Disney properties which feature in comics not made by Disney, so it’s not a certainty. And anyway I thought to myself, who cares? Doesn’t make any difference to me who’s publishing Star Wars. 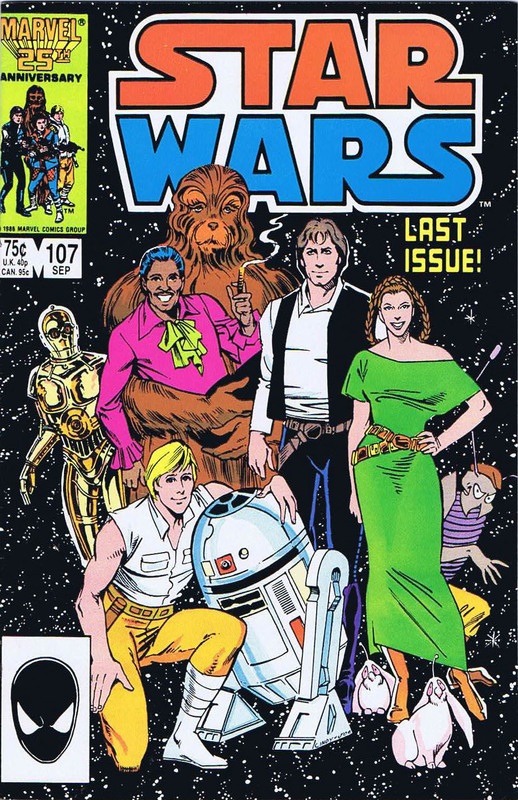 But then it occurred to me: Marvel could get the rights back and publish Star Wars #108. The completist in me would find it very hard not to buy that!